Input text: the shiny glass texture is on the wall. the texture is 20 inches tall. the dog is 2 feet in front of the wall. it is facing the wall. the camera light is black. the toy is -2 inches behind the dog. it is 14 inches tall. it is facing back. it is leaning 90 degrees to the left. it is 1.5 feet above the ground. a boy is 20 feet in front of the dog. the 2nd toy is 18 feet to the left of the boy. 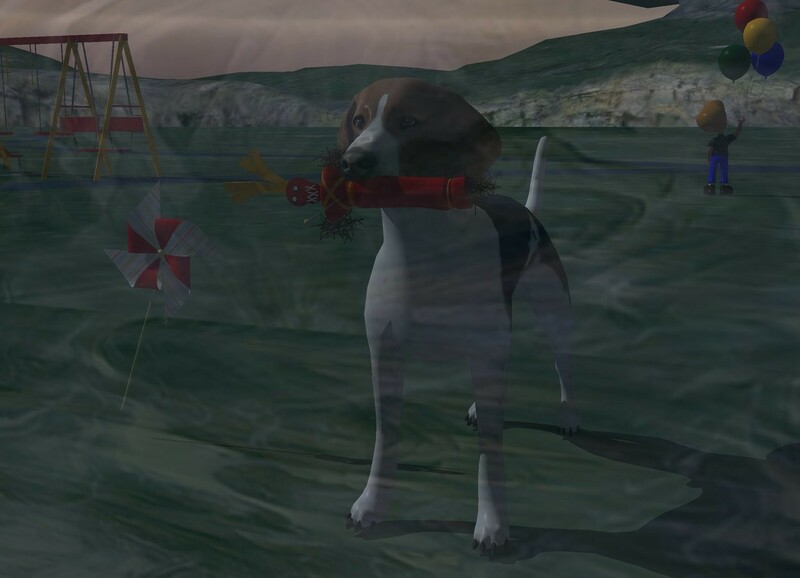 the pinwheel is 1 foot to the left of the dog. it is facing back. it is leaning 20 degrees to the right.